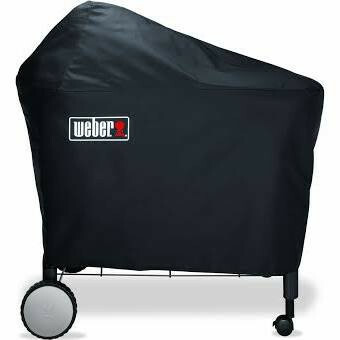 Weber's Performer Cover is specifically tailored for the Weber performer Deluxe Gourmet barbecue! All Weber barbecues are designed for life outdoors, however, to give them a helping hand during the winter season why not offer them some TLC with a sleek black, heavy duty cover. Keep four Weber Performer Premium or Deluxe looking stylish and clean with a high quality Weber cover.